Author, blogger, and all-around great guy Geoff Le Pard (http://geofflepard.com) has just published his first novel Dead Flies and Sherry Trifle. Harry Spittle, nineteen, is home from university, aiming to earn some money to go on holiday and maybe get laid. He expects he will be bored rigid, but the appearance of an old family friend, Charlie Jepson, his psychopathic son, Claude, and predatory wife Monica changes that. As his parents’ marriage implodes, Harry’s problems mount; before he knows it he’s in debt up to his ears and dealing in drugs. Things go from bad to worse when he is stabbed. He needs money fast, but now his job is at risk, his sister is in trouble and he has discovered a family secret that could destroy all he holds dear. The only way out appears to require that Harry join forces with the local criminal mastermind. Can Harry survive to see out the summer? Can he save his family? Can he regain some credibility and self-respect? Most importantly, will he finally get laid? Now I’ve been following Geoff’s blog for a while, and it rapidly becomes apparent when you read his depictions of his various adventures that he’s a born storyteller. Still, when Geoff posted the first few chapters of his novel on his blog a while back, I was even more impressed than I expected to be. There’s such cleverness to his fiction – I described it as containing numerous “zing” moments that made me turn pink and a variety of other colors! 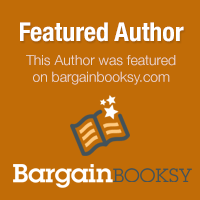 If you like that style of writing, I encourage you to click the book cover above to be taken to the Amazon page, where you can preview several sample chapters and judge for yourself. Please also note that the paperback is forthcoming if Kindle books aren’t your thing. It may also make you feel good to know that Geoff is donating the proceeds to his local youth charity, Streatham Youth and Community Trust. 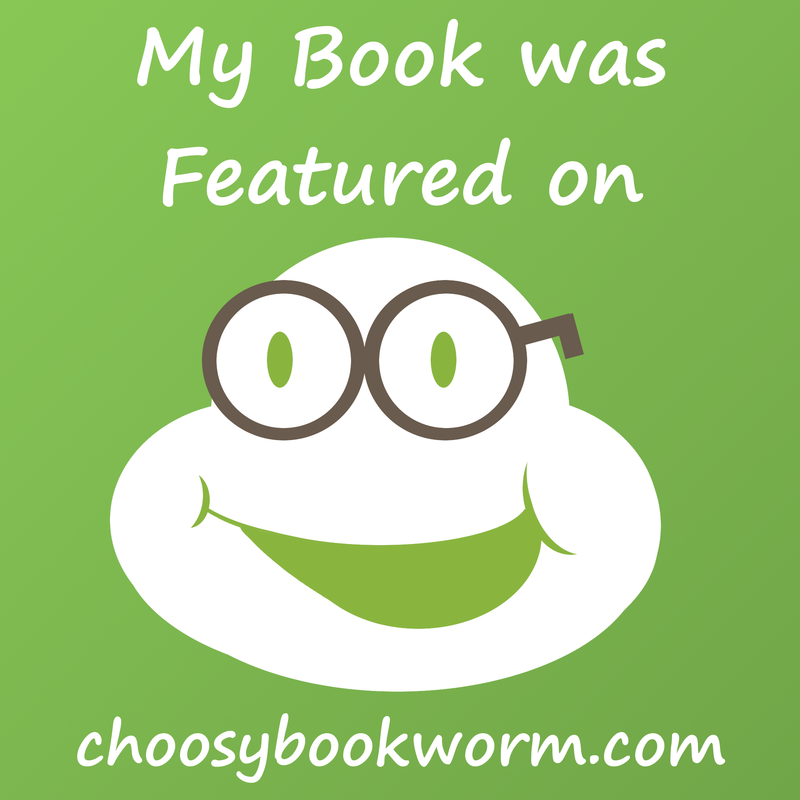 This entry was posted in Book Reviews and tagged bloggers, books, coming of age, dead flies and sherry trifle, geoff le pard, humour, reading on October 25, 2014 by lorilschafer. This morning I crossed the border into Canada. Does everyone feel as nervous as I do when making that subtle yet formal transition into a foreign country? It isn’t bad enough, seeing that big, ominous gate looming before you; the guards cloaked in near-invisibility in their shadowy booths. It isn’t bad enough, being subjected to those increasingly suspicious questions, the ones that make you feel as if your privacy is being invaded, but legally, so that there’s nothing you can do about it. “None of your damn business” never seems like a particularly smart answer. But sometimes it sure is tempting to give it. No, the worst part of crossing a border is the fact that no matter how many miles you have already traversed with seemingly boundless impunity, suddenly you have to obtain permission to move from one bit of land on one side of some imaginary line onto another bit of land on the other side of it. It seems a rather illogical affront to one’s freedom of movement. And, of course, anytime you have to request permission to do something, there is a chance, however unlikely, that that permission will be denied. I don’t like being forced to answer questions I don’t want to answer, but that still isn’t as galling as being subjected to the whims of some random authority figure who gets to decide, based on the uprightness of my carriage and the shiftiness of my eyes, whether my truck or my person gets searched or whether I need to be detained for further questioning. What happens if the guard doesn’t believe my highly implausible tale of a memoir-in-progress – or doesn’t approve of it? But then at least you’re stuck on your own side. What really fries my nerves is not wondering whether they’ll decide to let me come in. What if they won’t let me back out? I don’t do well with confined spaces, even when they’re the size of the Great White North. I don’t think I could live on an island – even a very lovely one, like Hawaii – because there would be no other place to which I could escape. It’s silly, right? Practically speaking, in my everyday life I rarely travel more than thirty miles from my own home. But I would absolutely flip out if someone told me I couldn’t. It isn’t the amount of space; it’s the fear of being trapped that I find so disconcerting. Perhaps I’ve simply watched too much film noir, but it’s hard for me not to wonder whether I might be detained on some technicality; perhaps a case of mistaken identity. What if I’m “The Wrong Man”? What if I took the wrong “Detour”? Even worse, what if there’s a decades-old warrant out for my arrest? I learned something in my senior year of high school that – much like the opening scenes in a fatalistic film noir – would set in motion a seemingly inevitable chain of events. My friend C. dropped this particular tidbit on me so casually that one would never have guessed that it would hit me with all of the force of one of those nuclear weapons we kept expecting the U.S.S.R. to send screaming into our midst. I wouldn’t say that the plot formed immediately in my mind. In fact, I’m not even sure that it was my idea. But somehow I knew that we were onto something here, something truly special. So I tucked that magic lamp back into some dusty corner of my brain and let my subconscious go to work on cleaning and polishing it. And perhaps this was why, some time later, the plan sprang forth so simply and naturally from our collective minds; a fully formed Athena who turned and thumbed her nose at the older and wiser Zeus the second the proper opportunity arose. “Are you guys going to that thing in Boston that Key Club’s doing?” C. said one day over a cafeteria lunch of warm tuna and cold pizza. 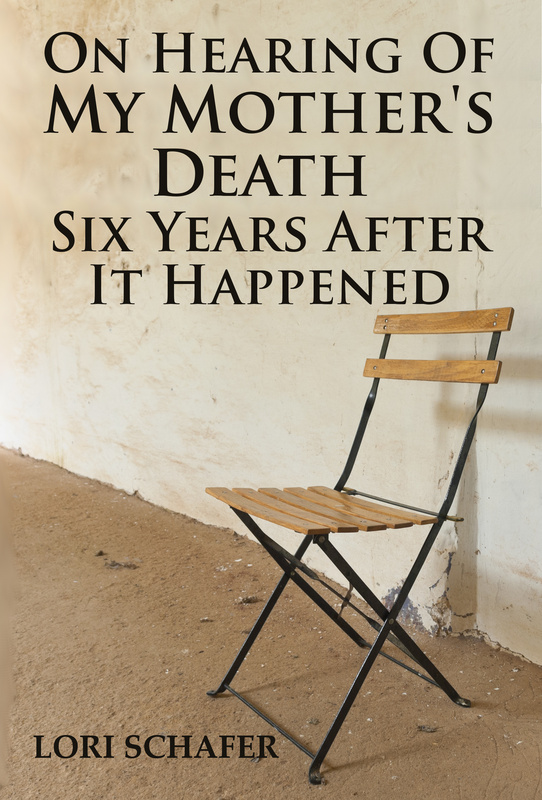 My mother had had the first of two planned foot operations and for weeks had been largely confined to the rocking chair in our den. Not only had she been forced to consent to me getting my license, but she had also had to ease up on the discipline. I suppose that, even in her mental state, she realized that being physically incapacitated gave her a rather tenuous hold on a teenager with access to a car. Still, I was surprised when, scowling, she nonetheless agreed to let me go. So much so that I began to wonder whether I was taking full advantage of this unanticipated grant of liberty. “Hey, if we were eighteen, we could go to Canada and drink!” C. joked. It was true; none of the three of us had hit that magical eighteen-year mark, which was undoubtedly the passport to a garden of earthly delights – in Canada, anyway. But did it matter? I wondered. I had already had some success in passing for twenty-one – the legal drinking age in the U.S. – so how hard could it be to pretend we were eighteen? Now, of course, it’s impossible for me even to conceive of selling booze to any teenager, because anyone who is under the age of thirty looks ridiculously young to me. In fact, I’m continually wondering who keeps handing out driver’s licenses to all those middle school kids. But as a high schooler, my frame of reference was not other adults, but awkward and pimply freshmen. And next to them we looked mature, indeed. “Don’t you think we could pass, though?” I said thoughtfully. I could see my friend’s mind working, her eyes sparkling at the thought of hatching a plot of unadulterated evil that was guaranteed to get us in a heap of trouble. We all agreed that partying it up over the border was not the most sensible idea. But the seed had been planted, and, wetted by the drool dripping from our tongues, it would naturally grow – into a weed. We would be doing something in Canada, all right – something far more illegal than trying to weasel a drink at a bar. I don’t recall who said it first. I don’t know who to credit or to blame for the harebrained scheme that flowered from that idle discussion. But two weeks later, we were leaving Massachusetts with a few hundred dollars and a plan to smuggle a boatload of booze back over the border. If you would like to see more photos from my cross-country travels, please follow my new Pinterest account at http://www.pinterest.com/lorilschafer/. For updates on my forthcoming memoir The Long Road Home, which I am drafting during this road trip, please follow my blog or subscribe to my newsletter. 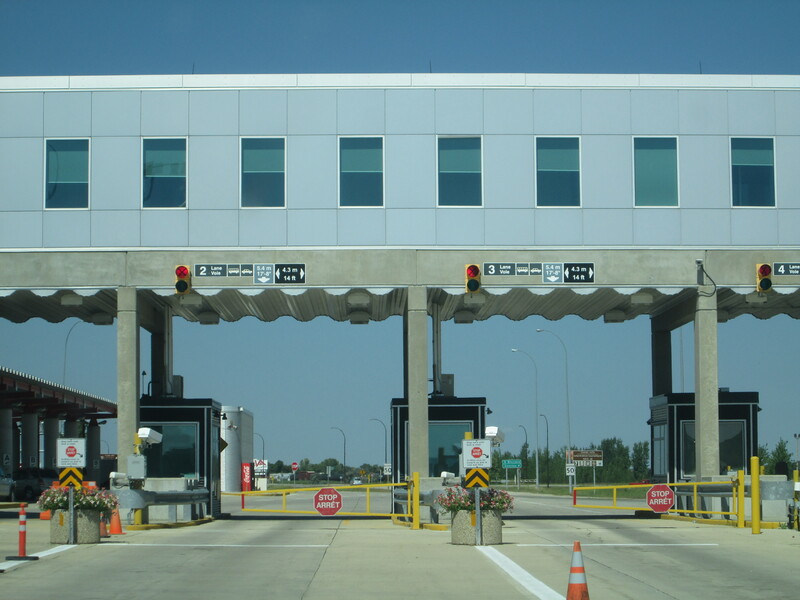 This entry was posted in Travel and tagged books, border crossing, Canada, landscapes, memoir, reading, road, road trip, roadtrip, smuggling, The Long Road Home, travel, United States of America (Country) on September 22, 2014 by lorilschafer. I flew through North Dakota like there was a storm chasing me… which, as has been the case for most of this trip, there has been. You see, I’ve been anxiously checking the forecasts for the last several weeks, in anticipation of my arrival in Canada. I had good reason to be concerned. One of the primary reasons I decided to reroute my trip was because of the weather. Looking at the latest forecasts shortly before I left home, I discovered that the weather was going to turn to crap towards the end of August in Canada and, of course, Alaska – right around the time I would be arriving. I confess that this put me in a bit of a bind. I may live on the West Coast now, but I still take pride in being born and bred a New Englander, and I’m quite capable of managing the occasional storm or cold snap. I grew up with thunder and lightning; they don’t frighten me the way they do people in the Bay Area, where several years might pass between thunderstorms, and the natives literally start screaming when one does occur. I don’t mind walking in the rain, or even trudging through the snow. But I really, really dislike having to drive in bad weather; I always have. Gosh, I remember one nasty snowstorm when I was living in West Springfield in which I literally walked the two miles to work in my snow gear rather than having to drive over those slippery, frosted streets. The hour of walking was an adventure. The twenty minutes of driving would have been a nightmare! Anyway, when I first began planning this trip, I was willing to take my chances that it wasn’t going to snow before the middle of September up north, which, although not a sure thing, isn’t a terribly risky bet. But spending weeks driving around in the rain with temperatures in the upper fifties doesn’t exactly sound conducive to relaxing and enjoying myself. That’s what the weather is like in the Bay Area in the middle of winter. Pretty comfortable for midwinter; not so much for late summer. It was my own fault, really. I delayed my trip too long; I should have gone in July, as I had originally planned. But I didn’t. I’m not particularly sorry about it, because I got some things done that desperately needed to be done, and now I at least have slightly less stress while I’m away. And that is the beauty of the driving trip, after all; I can change my plan whenever the heck I want. Good thing, too, because I did! It was a good plan, though. I had originally figured on going straight north through Oregon and Washington, then up through British Columbia and the Yukon and Alaska. 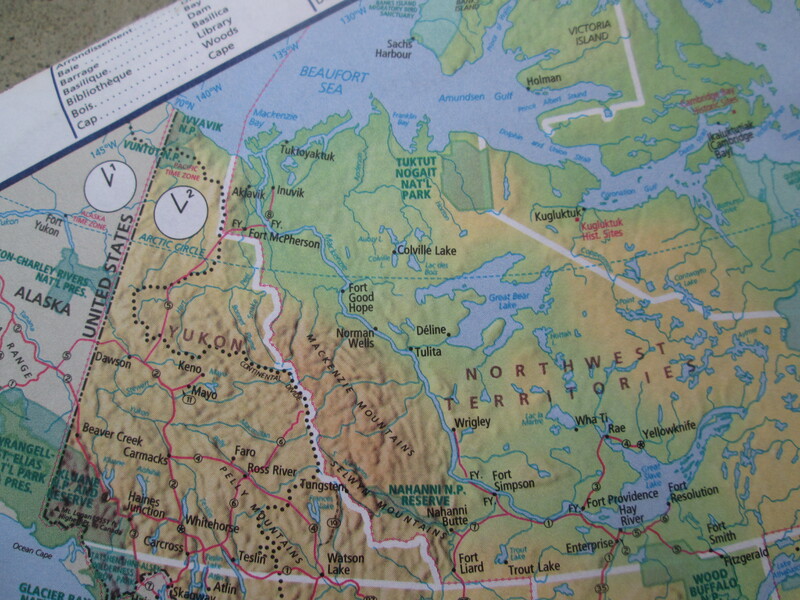 Then I thought I would head east into the Northwest Territories (now that is nowhere-land!) before cutting south into Alberta, then Montana, and finally wending my way home. Some pretty rugged territory, too; far from an easy drive. Yet there was something about it that appealed to me – so much so that I found the idea very difficult to let go. I literally waited until the day I left to make up my mind. Even as I was getting on the freeway, I wasn’t entirely sure what I was going to do. Even as I began heading towards Sacramento, I debated with myself about whether I wanted to take I-5 when I got to the capital, or head east into the mountains. It was South Dakota that finally decided me. Somehow I felt very strongly that I wanted to go to South Dakota, and it was doubtful, if I went up to Alaska, that I’d be able to make it back that far east on my way home before autumn came to the mountains, because even if I avoided the Rockies, I’d still have to cross some mountain range on my way home. There was something else appealing about going that way, too. If I went back to the Dakotas, then I could head up into Manitoba and Saskatchewan, where I’ve never been before. And when I studied the maps in my road atlas, the idea became more and more exciting. You know what’s in northern Manitoba? Nothing! It isn’t really nothing, of course. 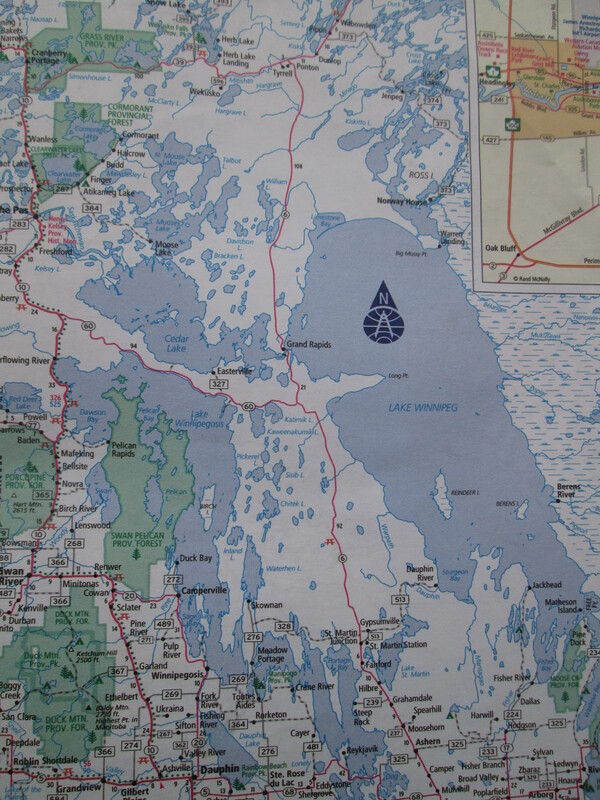 Most of northern Manitoba is occupied by Lake Winnipeg, and Lake Manitoba, and dozens of other lakes – so many, in fact, that one might consider it a rival for Minnesota’s honorary title of Land of Ten Thousand Lakes. I’m presuming that the few villages that exist in the upper reaches of Manitoba exist primarily for fishing. It must be quite a vacation destination, some obscure lake in some obscure region of Canada, a hundred miles from anywhere. To me, of course, fishing doesn’t hold much appeal. I’ve already seen enough dead fish to last me a lifetime. But I liked the look of it, this vast region containing many bodies of water and few bodies of humans. It suited my theme of skirting the edges of civilization that I’ve taken this trip. No, it wasn’t what I had originally planned. But it was a darned good alternate plan. When would I have the chance to make that trip again, either? However, a few days ago, once again consulting the forecast (amazing how important weather becomes when you’re traveling, isn’t it? ), I discovered that my weather problems were far from solved by changing my trip. In fact, it looks as though by Sunday, the day before Labor Day, storms will be rolling in all over the countryside. And I don’t know that I need to be driving hundreds of miles through the middle of nowhere in a foreign country on the edge of some long, cold, foggy lake when it’s pouring rain. So I hurried. I suppose I didn’t really need to spend much time in North Dakota, anyway. I’ve been here before. It isn’t really much different from South Dakota; just a bit colder. Otherwise, it has very similar features. Fields of hay. Fields of cattle. And not a heck of a lot in between. I did learn one thing about the state, though. All these years, I’ve had two main memories of North Dakota. 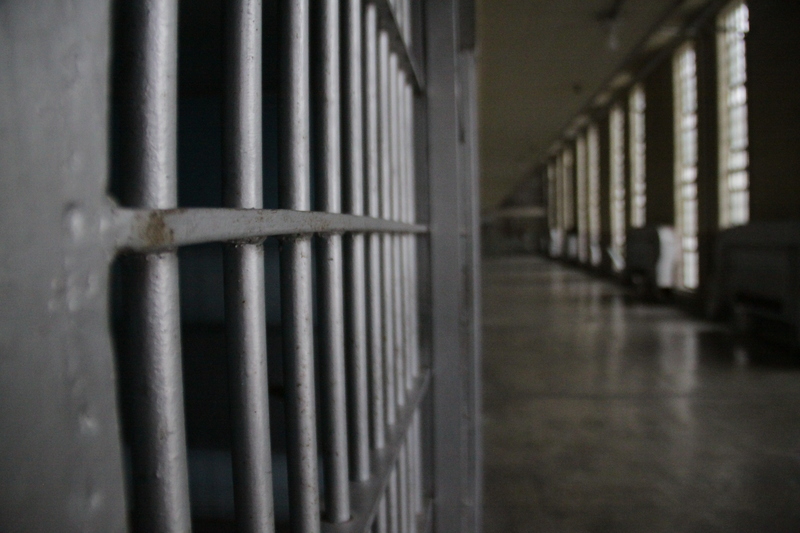 One, the incident with the local sheriff that formed the basis for this flash fiction story. And two, how many times I had to clean my windshield just driving through it. North Dakota had the biggest, most numerous bugs I had ever seen, worse than Texas even! The kind that when they hit the glass, their multi-colored guts splatter in visible circles all over your windshield, enough to make you duck instinctively, in case you got splattered, too. But this time? Nothing – or nothing out of the ordinary, anyway. 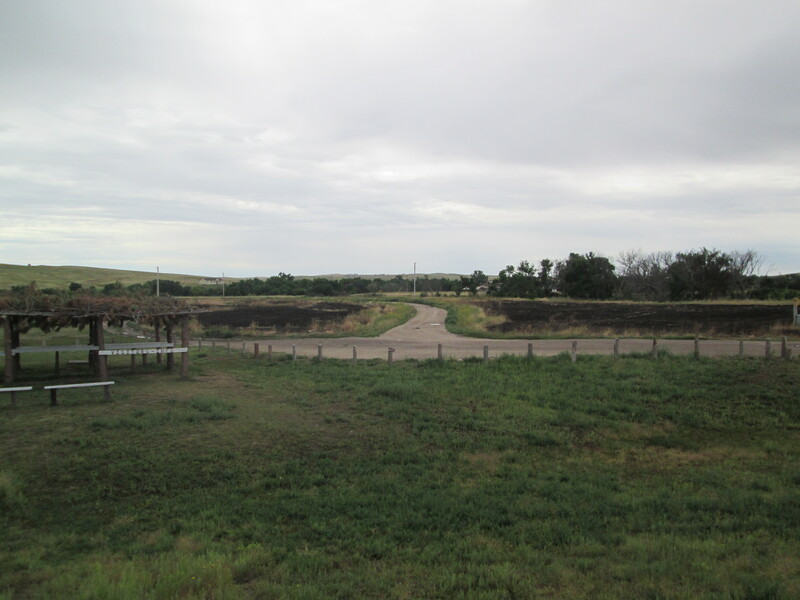 In fact, I would say that North Dakota, compared to some of the other places I’ve been, was comparatively bug-free. Perhaps you only experience the full brunt of them if you travel east-west across the state. Or perhaps they’re only really prevalent at certain times of year. I don’t know. I suppose now I never will! 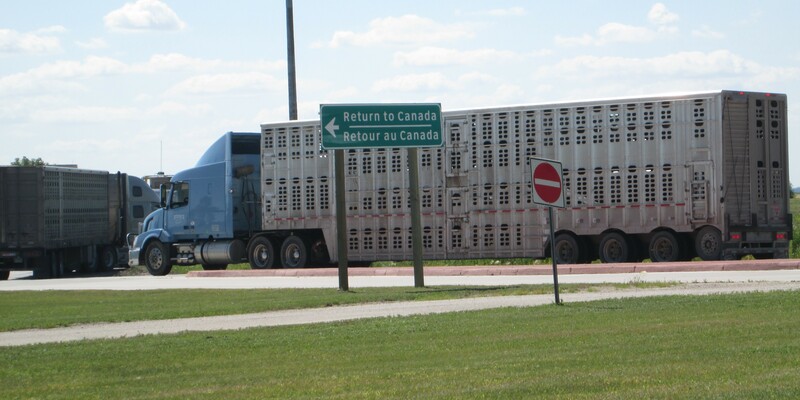 At any rate, I decided to try to get in and out of the really rural parts of Canada before the storms hit. And if I circle through Manitoba and Saskatchewan, I can duck down into Montana and backtrack to Yellowstone before I head home. This will work out great because I think I’ve decided to make this trip a little shorter than I had originally planned, too. Instead of one long road trip, I think I’m going to try to do a series of shorter ones. If I took a month off around December-January, I could travel across the South, where the weather should be passable. I haven’t done much traveling in the winter. My first year of college, I went down to San Diego to see the solar eclipse – not that January in San Diego can really be termed “winter.” And one year I made a trip to Arizona in December to visit a friend of mine who was working in Globe on a temporary assignment. Funky seeing the Grand Canyon dotted with snow in the winter, and much less crowded, too. Who knows? It might be a neat change, provided I stay out of the frost zone. Might be nice to experience the Gulf Coast when it isn’t blazing hot and sticky humid, and the Southwestern desert when it isn’t as dry as a… um, desert. And then I think I’ll try to make the trip I had originally planned next summer, earlier in the year, preferably while there’s still midnight sun. That’s one other advantage of postponing it – the day-long daylight, bright enough to read by, even in the middle of the “night.” How I loved the look of it – the way the sun dipped just beneath the mountains on the horizon around two a.m., then popped right back up again. Shouldn’t be too hard to make it, either, if I do it then. I definitely found when I was up there last that thanks to all the daylight, I hardly needed to sleep at all. No, I may have changed my plan, but I’m not giving up on it – not yet. But I suppose I won’t count my miles until I’ve driven them, just in case. A lot of things can happen in a year. I might not be able to get the time off, if that congressional appointment comes through. There could be a massive revolt among the polar bears, who may finally decide they’ve had enough of the ice melting. Perhaps the Sorbonne will offer me a full scholarship if I finally agree to pursue that doctoral degree in accounting… nah, forget it. I still wouldn’t do it! But a girl can dream, can’t she? And that’s one more beauty of all that emptiness – plenty of room for dreaming. It takes a lot of dreams to fill up all that big, open space. But I’ve got ‘em. 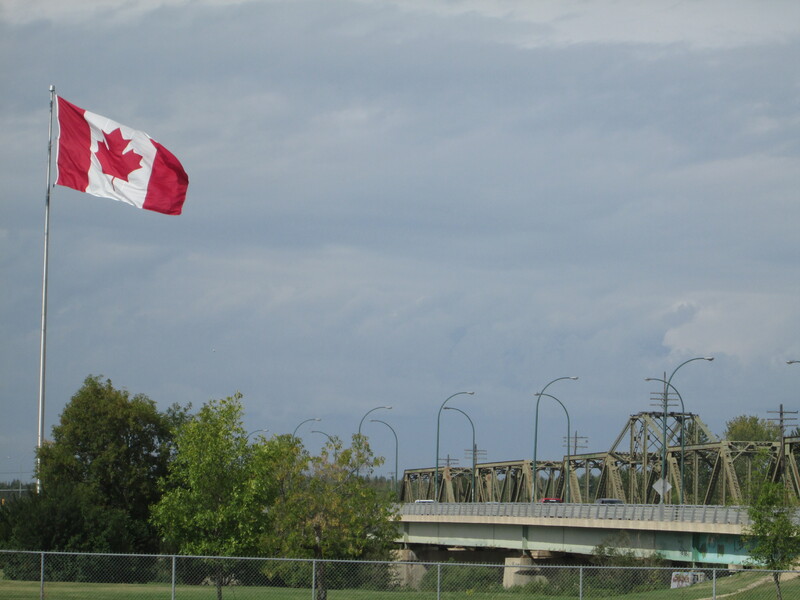 This entry was posted in Travel and tagged books, Canada, landscapes, Manitoba, memoir, North Dakota, reading, road, road trip, roadtrip, Saskatchewan, The Long Road Home, travel, United States of America (Country) on September 19, 2014 by lorilschafer. Today is my last day in South Dakota. I spent a surprising amount of time in South Dakota! Or perhaps it merely feels that way because there was so much to write about. I say “was,” but in truth, I’m not done yet. So here, in random order, are my final observations on the state of South Dakota. 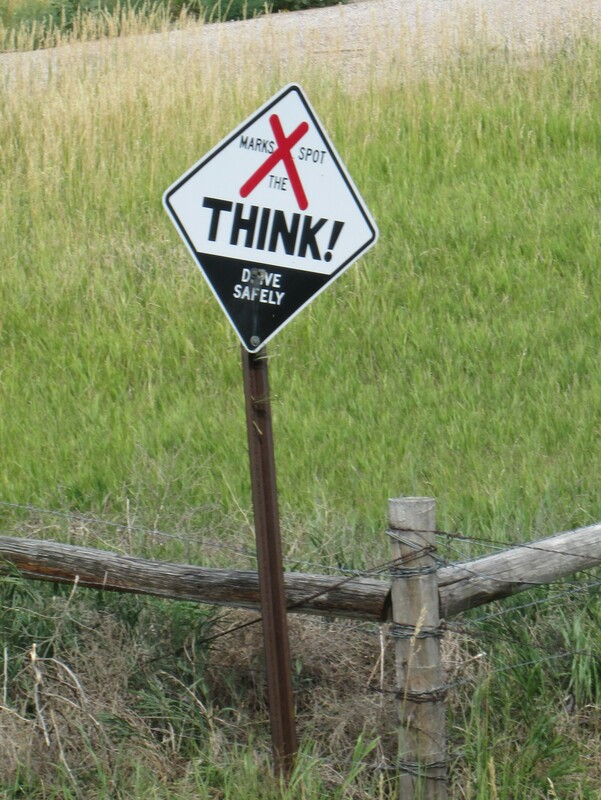 The program was put into place in 1979 in order to raise awareness of the dangers of drunk driving, which evidently accounts for half of the sign placements(http://dps.sd.gov/enforcement/accident_records/think_sign_information.aspx). “Think! Why die?” Crude sentiments, perhaps, but they get the job done. I’m inclined to believe that rush hour would be a lot safer back home if they threw up a sign every time someone was killed on a freeway. It would be sobering indeed to see how quickly we run out of room on our medians. 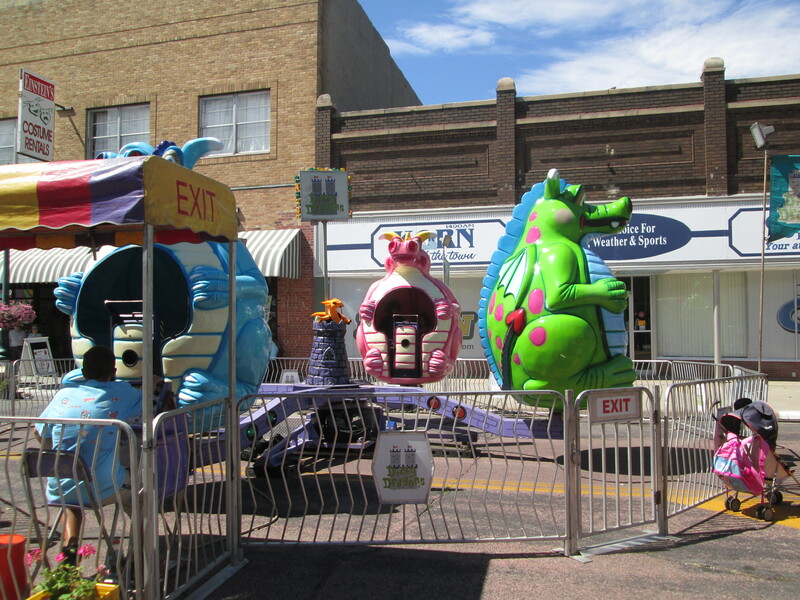 3) Towns in South Dakota really know how to party. 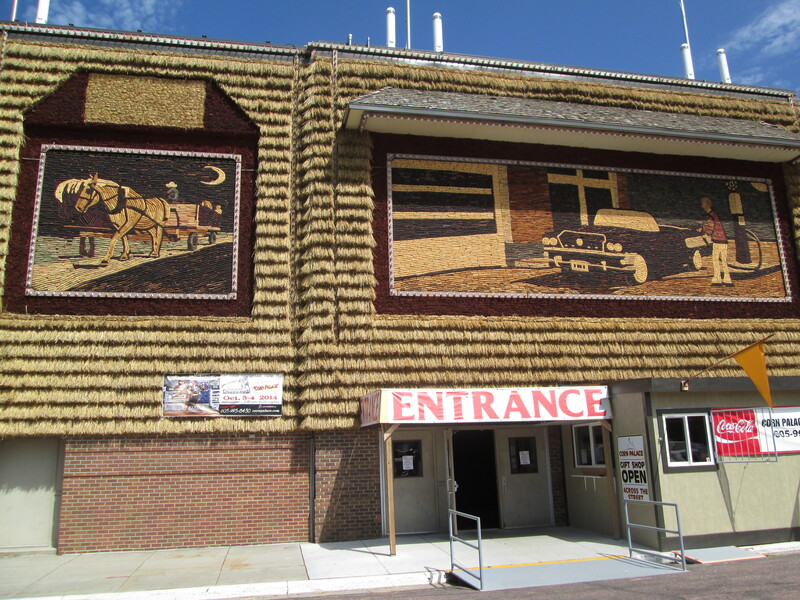 Take the town of Mitchell (population 15,000), best known for a structure called the Corn Palace. 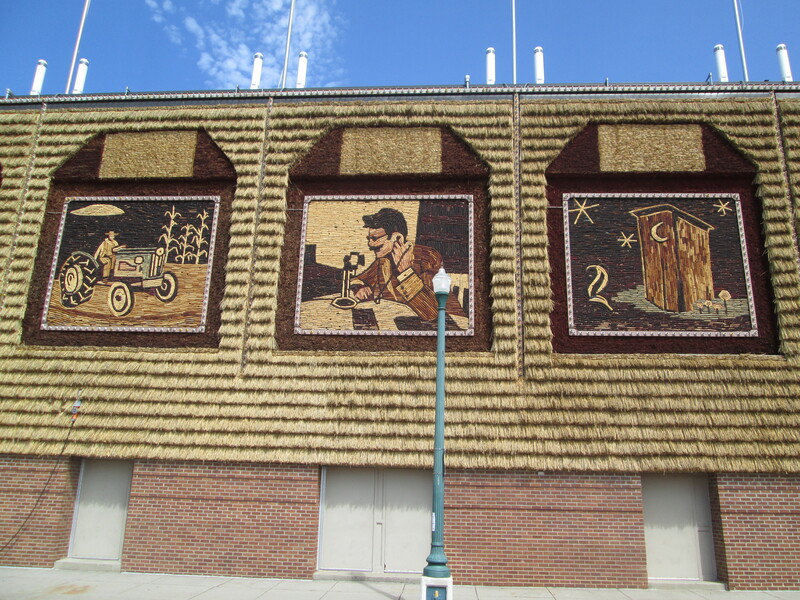 “Corn Palace!” I hear you exclaiming. 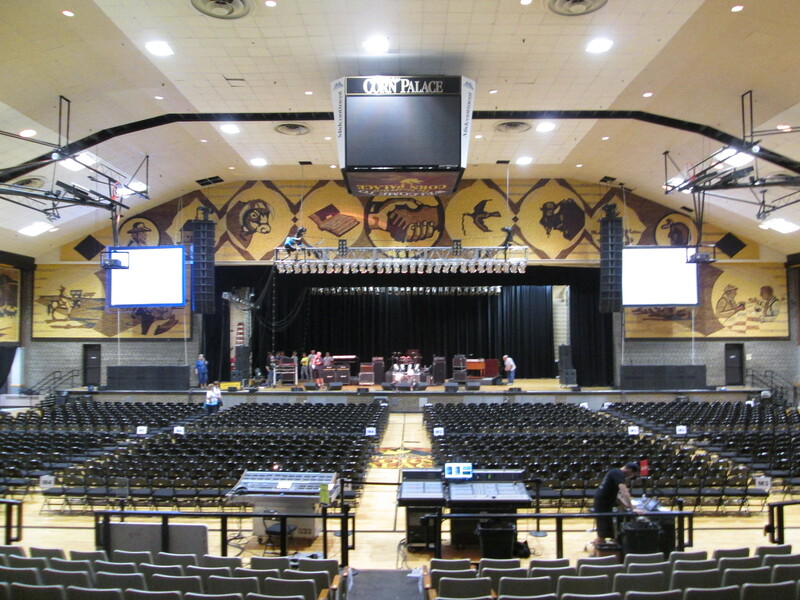 “That’s right, the Corn Palace!” I exclaim right back. 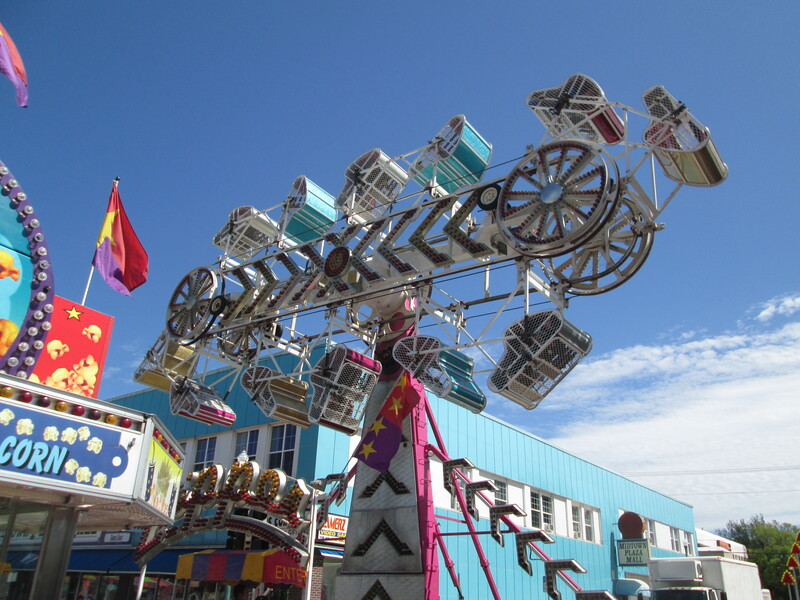 …even a Ferris wheel that towered over the nearby business buildings. Guess that’s one way to keep an eye on what’s really going down on those upper floors! 4) South Dakota doesn’t only know how to advertise; it knows how to deliver. 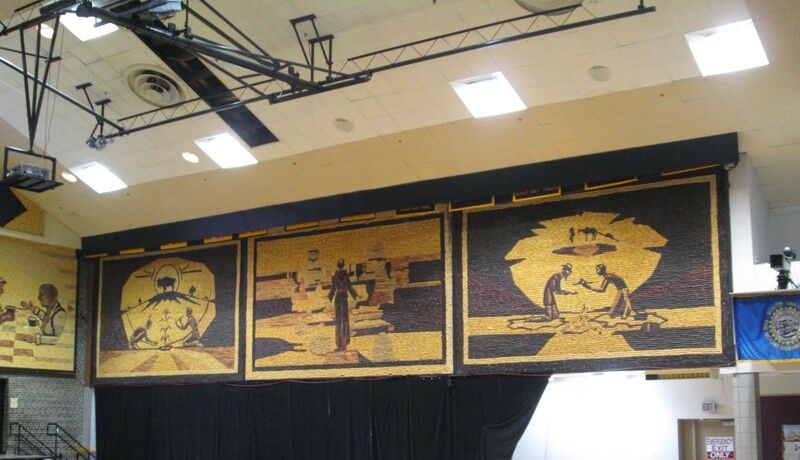 There are probably a good twenty billboards on the interstate guiding you to the Corn Palace. 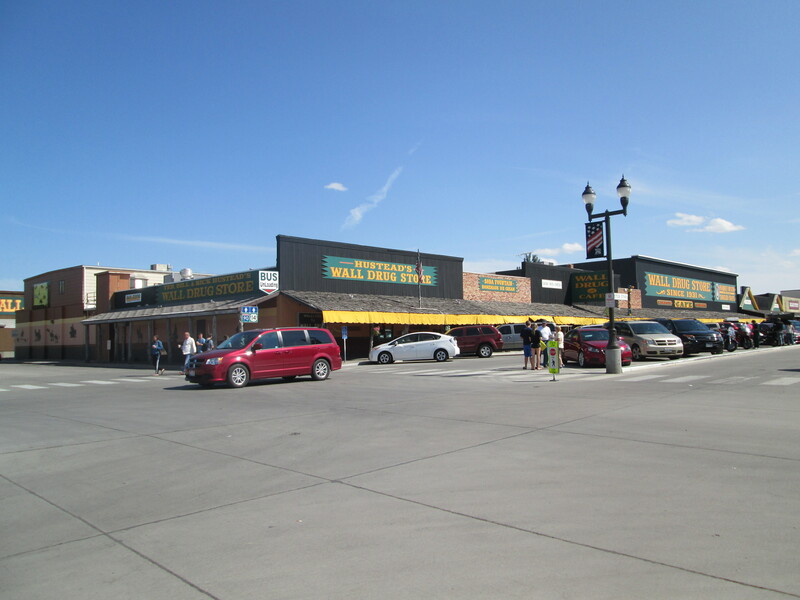 But that is nothing, nothing compared to the advertising campaign of Wall Drug. They must have more than a hundred billboards dotting the interstate east and west of the town of Wall – their campaign possibly even surpasses the tourist trap “South of the Border” in South Carolina – all of which proclaim, in nostalgic, old-time signage, the wonder and virtues of Wall Drug. This is a place that, according to their advertising, should have absolutely everything you can possibly imagine in the way of service and product, from picture-taking props to pottery to an apothecary shoppe to a do-it-yourself mining company. 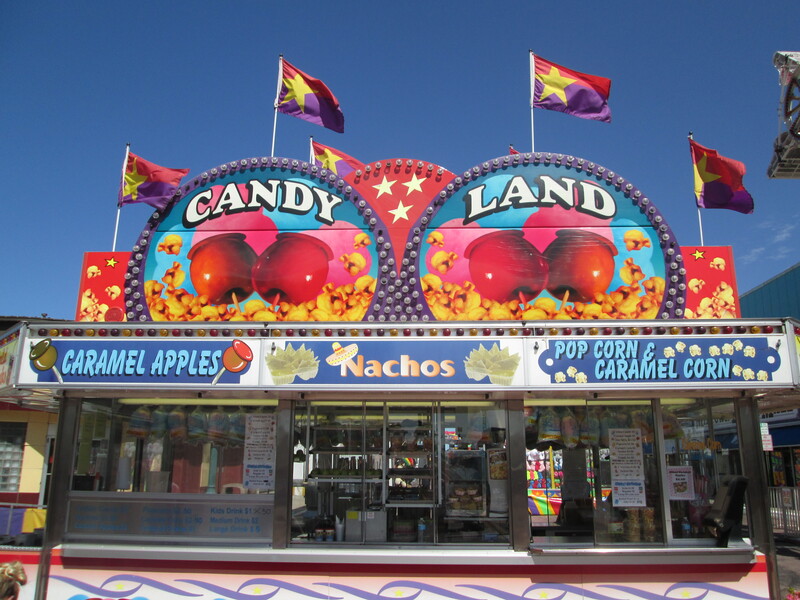 And once you get there, you discover that it actually does have all of those attractions, plus many, many more. How else would you fill up a building too big to fit in a single photo? 5) There’s one agricultural product that’s widely grown in South Dakota of which I was entirely unaware. Unaware, that is, until I began running across seemingly endless fields of them. So many, many sunflowers! Who knew? 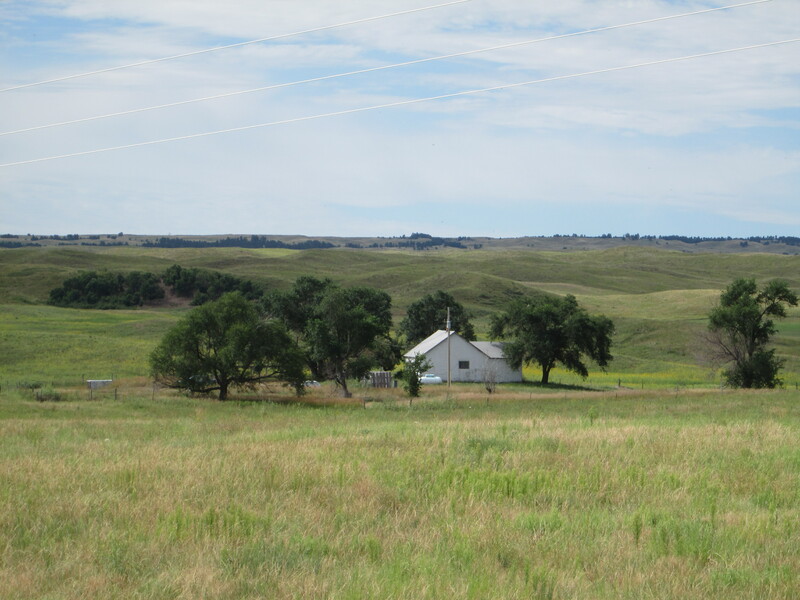 This is not, of course, the Little House of Laura Ingalls Wilder fame; that’s over in the modern SD town of De Smet, where the Ingalls family had the homestead that provided the setting for four of the Little House books. Still, there’s something inexpressibly charming about spotting these modern homesteads dotted about the landscape; you can almost imagine the residents churning butter by hand and stocking up on victuals for the long, harsh winter. Even now, it can’t be an easy life for those brave souls who decide to attempt it. Tomorrow I will be in North Dakota, which I vividly recall being the buggiest state in the Union. Will it re-earn the title, or will it be supplanted by its southern relation, whose insects are, even now, so firmly encrusted upon my grill that a whole winter’s worth of California rain won’t wash them away? Can’t wait to find out – North Dakota, here I come! If you would like to see more super-professional videos from my cross-country travels, please check out my new YouTube channel: https://www.youtube.com/channel/UCb5RugrJMSHh6_4hkgHmkMA. 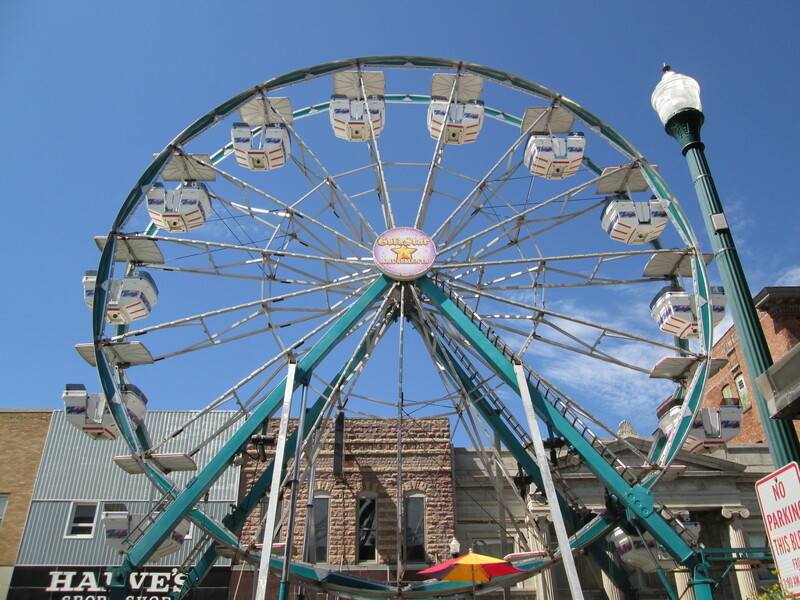 This entry was posted in Travel and tagged amusement park, books, cattle, corn palace, cows, landscapes, memoir, mitchell south dakota, reading, road, road trip, roadtrip, South Dakota, sunflowers, The Long Road Home, travel, United States of America (Country) on September 18, 2014 by lorilschafer. I’m driving east again on Route 18, a rural highway that runs south of the interstate through South Dakota. It’s a good road; quiet. 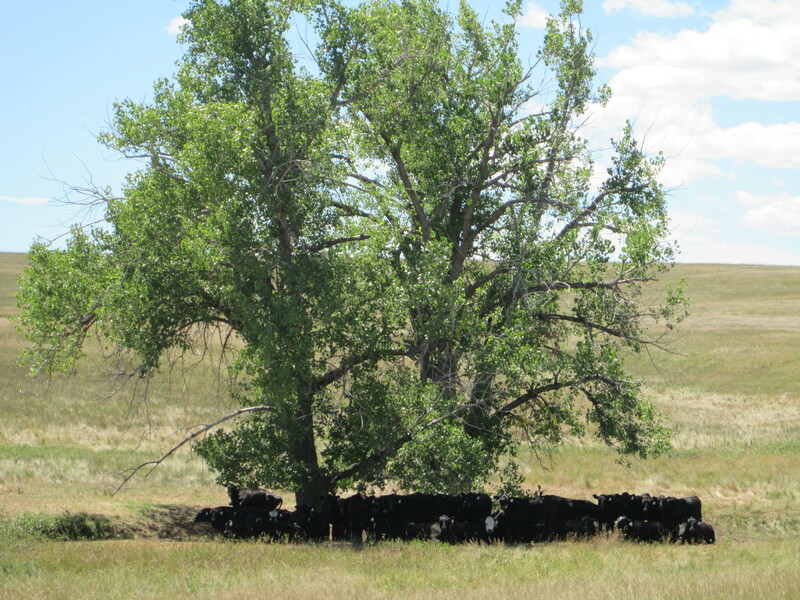 Like many regions of the Great Plains, this area is dotted with reservation land. To those of us who are acquainted with American Indian history, the names of the places you pass along the way ring with bitter familiarity. The town of Pine Ridge, named for the former Indian agency in which Native American affairs were administered. 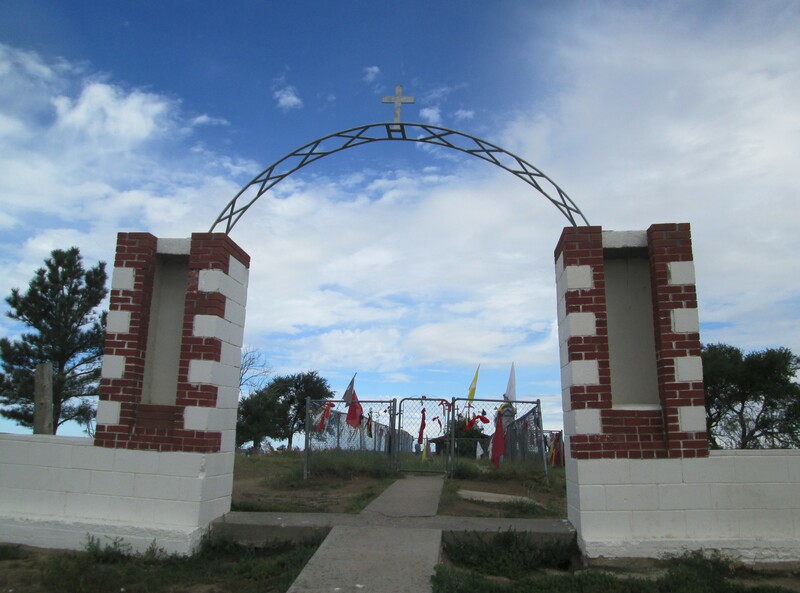 Rosebud, the reservation that gave its name to certain branches of the Lakota, now often collectively known as the Rosebud Sioux. 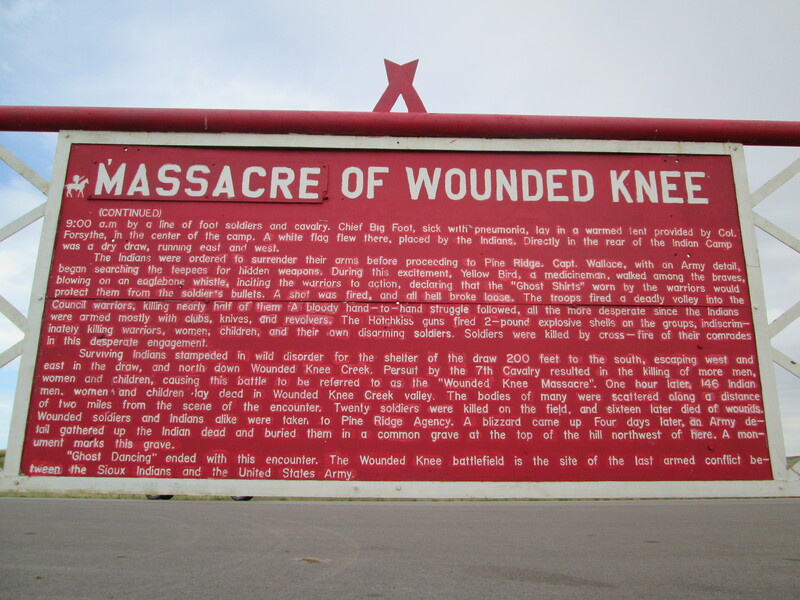 Wounded Knee, site of the massacre that’s generally conceived as marking the end of American Indian resistance to white settlers and their way of life. Traveling through this historic section of the country makes me both happy and sad. Happy that the Native Americans still have land to call their own. Sad over the lengths to which they had to go to defend it. Happy that the peoples who were here before us still retain portions of their culture and heritage, and a remnant of their sovereignty. Sad, because of the conditions in which they retain them. 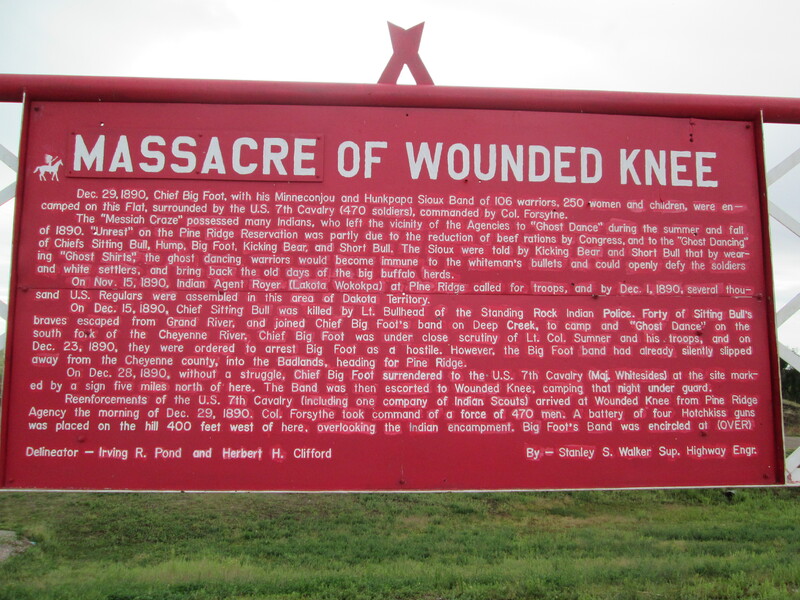 I visited Wounded Knee as I was working my way west towards Rapid City. Like the fiasco at Sand Creek, the 1890 “battle” that transpired there is often termed a massacre. What other term would you use to describe the slaughter of women, children, and largely unarmed warriors? 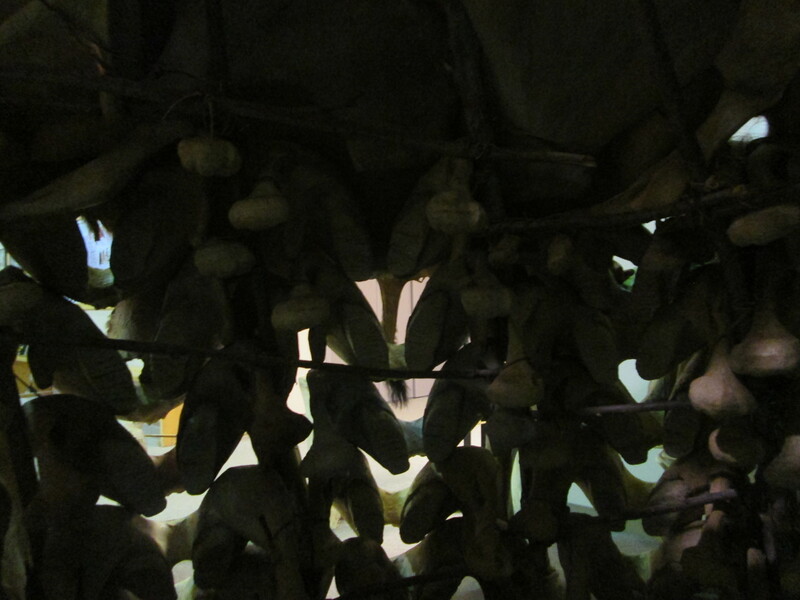 And a ragged-looking museum, selling souvenirs. I soon grasped the reason behind the effusiveness of the greeting. The man and woman held up trinkets of their own design for me to examine, perhaps to buy. “You see, there isn’t much work around here,” the woman explained. No, I thought. I imagine there isn’t. 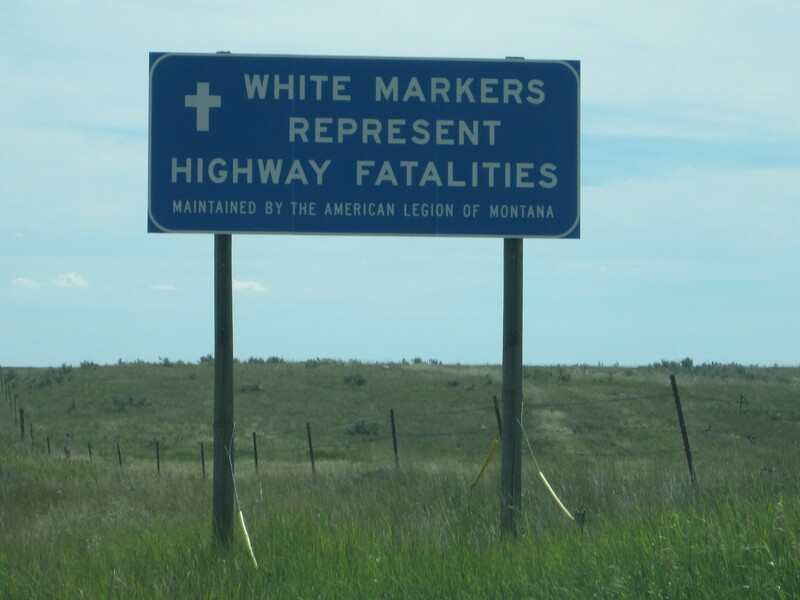 As you drive through this broad stretch of reservation land – the eighth largest in the nation – you notice two things. One, the settlement is quite obviously poor. The towns are lacking in storefronts, the houses are dilapidated, the cars and trucks are rusty and old; the people, even, wear the downcast look endemic to those stricken by a lifetime of poverty. You witness them walking along the highway, those who don’t have cars or bicycles, in the blazing summer sun. I noticed that some of them were lugging bags of groceries in their hands or on their shoulders. I wondered how far they’d had to walk. I never even saw the store. The second thing you notice is that these people, individuals though they are, truly do constitute a separate nation within the nation. Yes, many of their laws are similar to ours, but then, that is true of most modern nations. There are many Native Americans, of course, who do not live on the reservations, who have not chosen to remain in that kind of life. But among the faces of those who have, you plainly perceive a people. 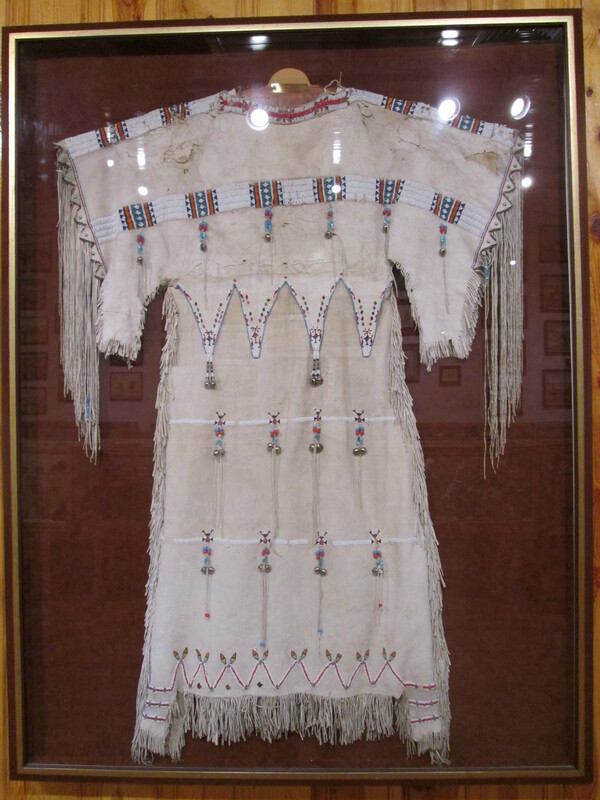 They still retain the characteristic and utterly unique appearance of Plains Indians; they still, in spite of nearly four hundred years of governmental efforts to consolidate and homogenize them, resemble a tribe. 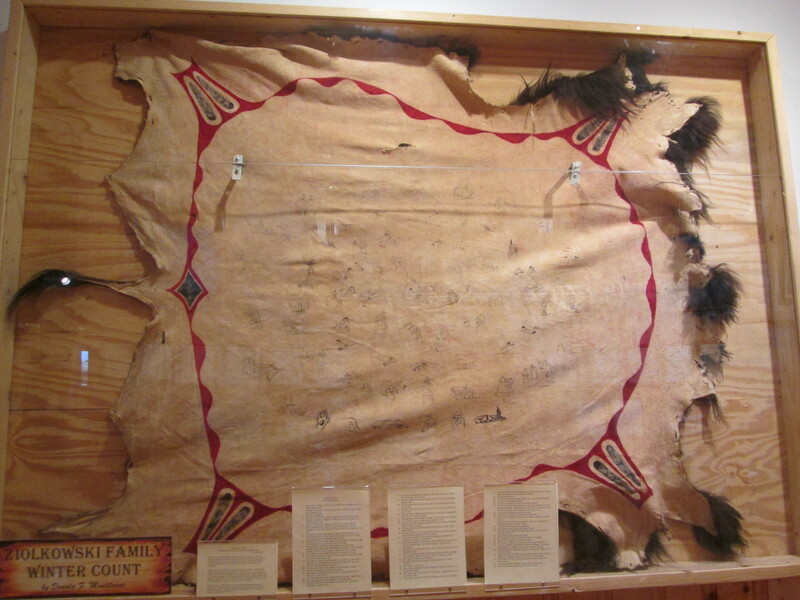 Even an traditional “winter count,” complete with drawings, by means of which many of the native tribes tracked the history of their people. These are not the objects of a poor people. These are the objects of a people with leisure and wealth. Tucked away in a corner of this vast building I spied a book, a three-hole binder filled with pictures of the various flags of the surviving American Indian nations. Beneath most of them were written the historical territories and current population of each of the represented tribes. Some of them – particularly the eastern tribes – consisted of very few members. I suppose this is because the eastern tribes – those who did not escape to the West or into Canada – had a longer history of contact with white men, and their populations were therefore decimated earlier and to a greater extent. I would imagine, too, that among those who did survive, the genealogical records are more complex and difficult to unravel because several more generations have passed since they wandered freely over their own part of the continent. By contrast, the Plains and other western tribes were forced off of their native lands almost in modern memory. Their history is not confined to some distant and largely unwritten past, in retellings reconstructed by white men alone. Although they ultimately lost the war to maintain their land and way of life, they succeeded in ways their eastern counterparts often did not, because it was the western Indians who truly captured the white American imagination. They had names, individual personalities, identities that conveyed that Native Americans were more than merely a mass of “red” enemies. Who will ever forget Sitting Bull or Geronimo, Chief Joseph or Captain Jack? They were leaders, warriors, rebels, even showmen; they earned both the settlers’ and the government’s respect. They were not just “Indians.” They were people. Perhaps this is why the vast majority of reservation land is out here, in the West. Not only because there were fewer whites to want the land, but because the Indians of the West fought harder to keep it. They had to. By the time the war against the Indian reached the plains, Native Americans knew with dreadful certainty that this was their last stand; their last chance to retain their native ways, their peoplehood. They had little choice but to fight. Most of the eastern tribes could have had no such foresight. This is perhaps why, for example, there are currently only about eight hundred Mashantucket Pequots, some of the first native New Englanders. The tribe did not even receive federal recognition until the 1980s. I actually knew that even before I saw the book of flags because this was how Foxwoods Resort Casino in central Connecticut – one of the first and still one of the biggest of its kind – came to be built. As independent sovereign states, recognized tribes are permitted to operate gambling enterprises on their own land in states that otherwise prohibit gaming. This development has been a terrific boon for native peoples, and has also provided an additional incentive for nearly extinguished tribes to reestablish themselves in the last twenty years. Indeed, in many parts of the East, casinos are often the sole visible reminder that Native Americans still live among us. 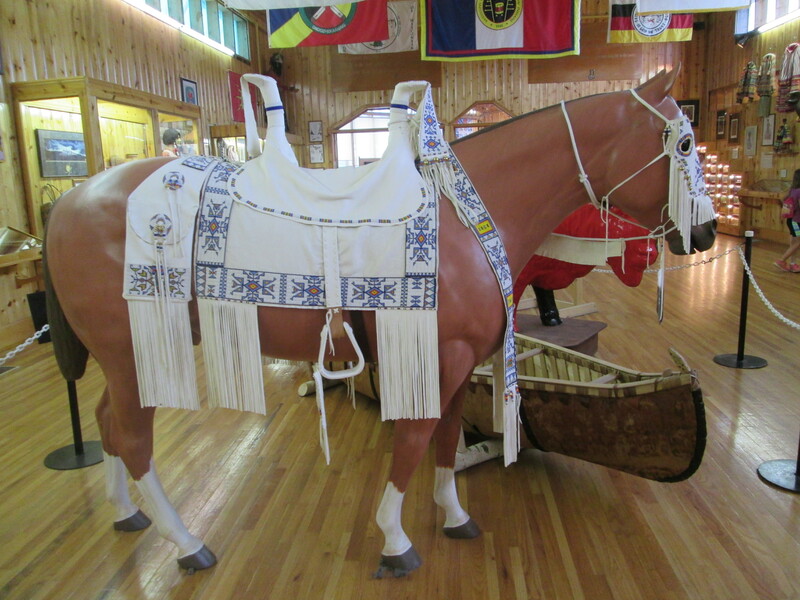 Yet small as these tribes are, they are nonetheless difficult to forget when so many of our cities and states – like Milwaukee and Chicago, Massachusetts and Connecticut – bear derivatives of their names. But here in South Dakota, where a substantial portion of the land is given over to reservations, and where Native Americans comprise nearly nine percent of the population (http://quickfacts.census.gov/qfd/states/46000.html), the tribes are much larger, and very much in the public eye, as they are in a handful of other places in our shared nation. As many as a hundred and seventy thousand Sioux, more than three hundred thirty thousand Navajo, including those of mixed tribal designations (http://www.census.gov/prod/cen2010/briefs/c2010br-10.pdf) still reside in what is now the United States of America. Overall the remaining American Indians number nearly three million people, and comprise roughly one percent of our population – the smallest by far of our defined minority groups. Yet they’ve survived. They have naturally lost much of their native culture, a process that began even before they were restricted to reservations. What remained of their historic modes of existence has also largely vanished, a change that commenced with the settlers’ invasion of the Plains and that has, of course, continued throughout the decades of what we term progress. 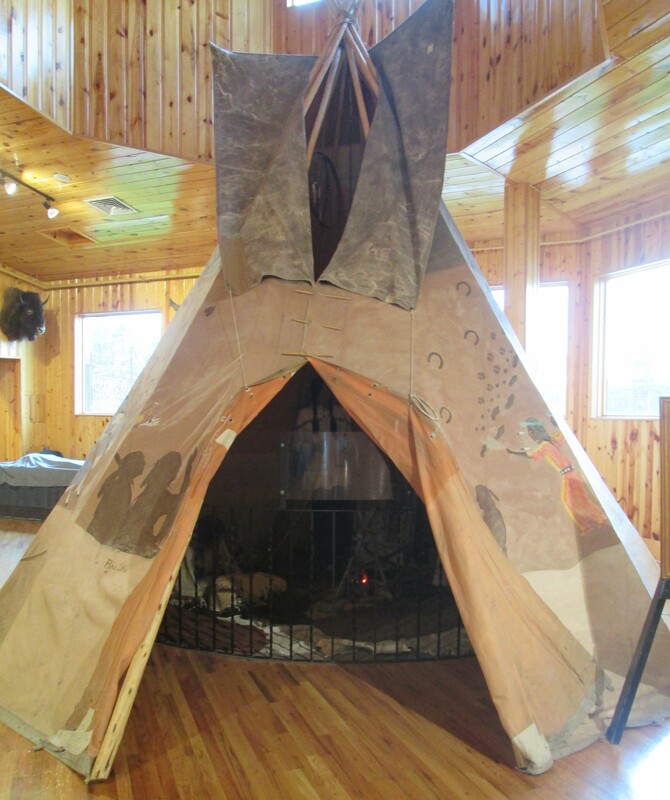 Even without white interference in Indian affairs, it is difficult to imagine, in the twenty-first century, that the Plains Indians would be making cell phone calls while hunting buffalo, and watching satellite TV in tipis. 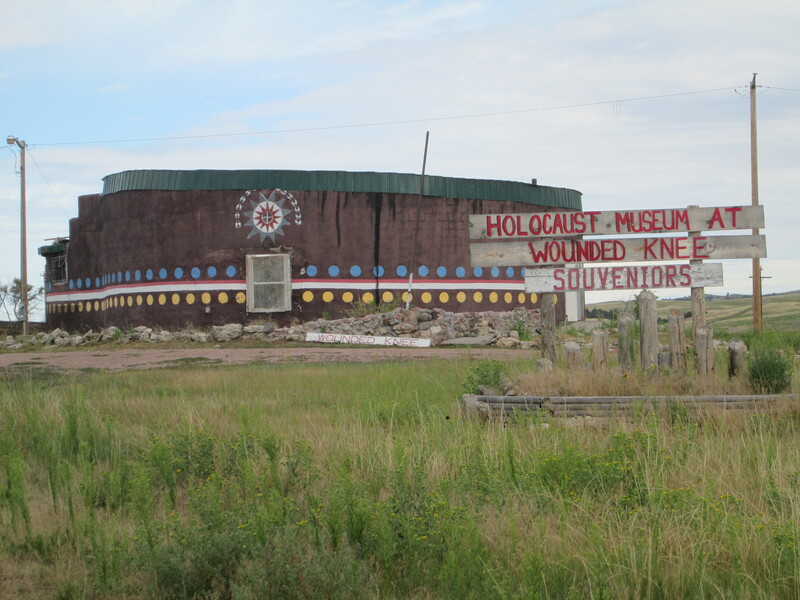 Yet it is equally difficult to imagine that, at one of the most saddening, sobering sites in American Indian history, some survivors are reduced to selling trinkets. You can’t blame them for doing it. Man’s first need is always to feed his belly. Honoring the history of your people loses much of its importance when your children are going hungry. And there is something surprising, even baffling, about the degraded state of the Sioux in this area. Because when you’re traveling through the rest of South Dakota, you cannot help but become aware of just how much work is available there. Institutions as huge as Capital One advertise for help on the radio, the radio stations advertise for help on the radio; over and over you hear businesses pleading for workers to fill positions for which experience is “helpful, but not required.” And once you’re in the cities, the need for labor becomes even more apparent. The fast food restaurant chains, instead of advertising their specials, virtually all seem to post “Help Wanted” on their outdoor marquees. Motels post signs seeking maids and janitorial staff. These may not be the best jobs, but they’re jobs – entry-level positions that most anyone can obtain. One Walmart I saw was hiring clerks at $10.50 an hour. Not a grand sum, certainly, but considerably higher than the Federal minimum wage of $7.25, and higher, even, than the California minimum wage of $9.00 per hour. That’s a living wage in a place where you can rent a one-bedroom apartment for less than $500 per month. Curious to see if my impressions were correct, I looked up the unemployment rate in South Dakota, and sure enough, it’s between 3.1% and 3.7%, depending on the locale – a rate so low that you can barely call it unemployment, particularly when you compare it to the current average Federal rate of 6.1% (http://dlr.sd.gov/unemploymentrate.aspx). The woman wasn’t exaggerating. I decided to look up the statistics on Pine Ridge, and they were even more horrifying than I had suspected, with an estimated 80-90% rate of unemployment and the second lowest life expectancy in the Western hemisphere (http://www.re-member.org/pine-ridge-reservation.aspx). The statistics for the Navajo, the massive tribal group that occupies a section of Southwestern desert hundreds of miles from here, are nearly as staggering, with 42% unemployment and 43% of the population living below the poverty line (http://navajobusiness.com/fastFacts/Overview.htm). Yes, the Native Americans have survived. But here in the West, at least, they have not thrived. Somewhere there is a disconnect between their countries and ours, between American life and Native American life. Somehow in losing their land and their livelihood, one might have expected that they would at least have gained the benefits that the modern-day United States has to offer. Yet on many of the reservations, this does not seem to be the case. It is true; the Native Americans are their own people, members of a world they can call their own. Unfortunately, for many of them, it is a Third World, enclosed tightly – and perhaps irrevocably – within our First. This entry was posted in Travel and tagged books, Lakota, landscapes, memoir, Navajo, Pine Ridge Indian Reservation, reading, road, road trip, roadtrip, Sioux, South Dakota, The Long Road Home, travel, United States of America (Country) on September 17, 2014 by lorilschafer. The sinkhole at Mammoth does not only contain fossils of mammoths. Other large animals did occasionally slide down the slippery slopes and become trapped inside, but the excavations conducted so far have indicated that such events were comparatively rare. Many of the other mammals and scavengers that resided in the area, having in general paws and claws, were more likely to be able to scramble their way out of the hole if they did end up inside it than the mammoths with their flat, poorly gripping feet. 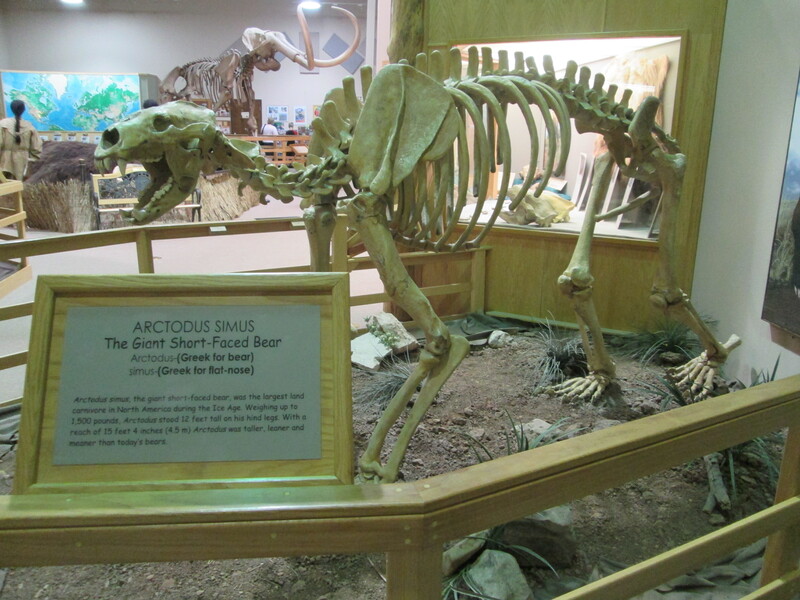 One notable exception is a truly rare find indeed, the bones of one Arcdotus Simus, the giant short-faced bear. He wasn’t lightly termed a giant; this fifteen-hundred pound beast stood twelve feet on his hind legs, while his height at the shoulder when he was on all fours matched that of a human. This brutish fellow makes the modern-day black and grizzly bears (shown below on the left) look perfectly cuddly by comparison. 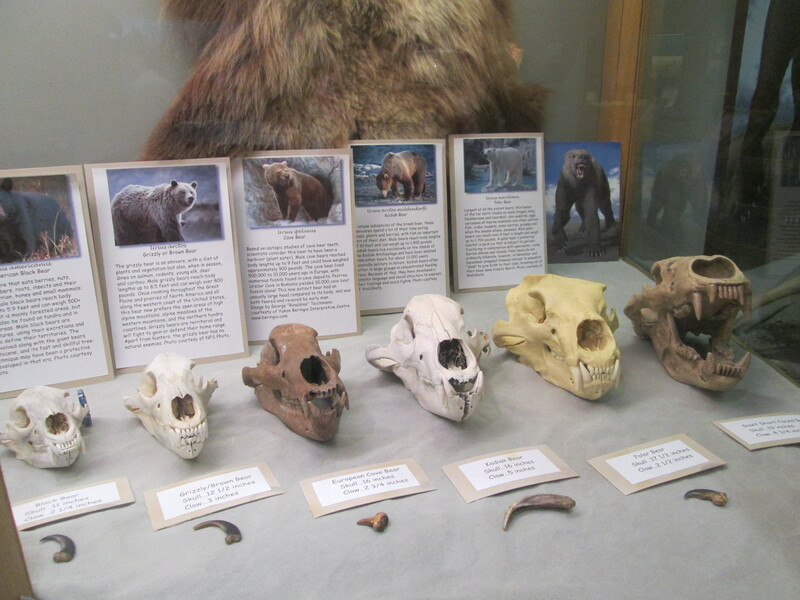 Indeed, it puts one in mind of other Ice Age creatures, like the saber-toothed cat, which was similarly a bigger and far nastier version of the modern-day mountain lion. What an amazing continent this must have been, in the days of the Ice Age! It’s difficult to imagine creatures of such size and ferocity living alongside humans – perhaps because they don’t anymore. It’s even hypothesized that it was not climate or habitat change, but man himself that directly caused the extinction of the oversized animals that were once plentiful upon the North American continent. Is it a coincidence that many of these species – which could have had few natural predators – went into decline with the arrival of human hunters? 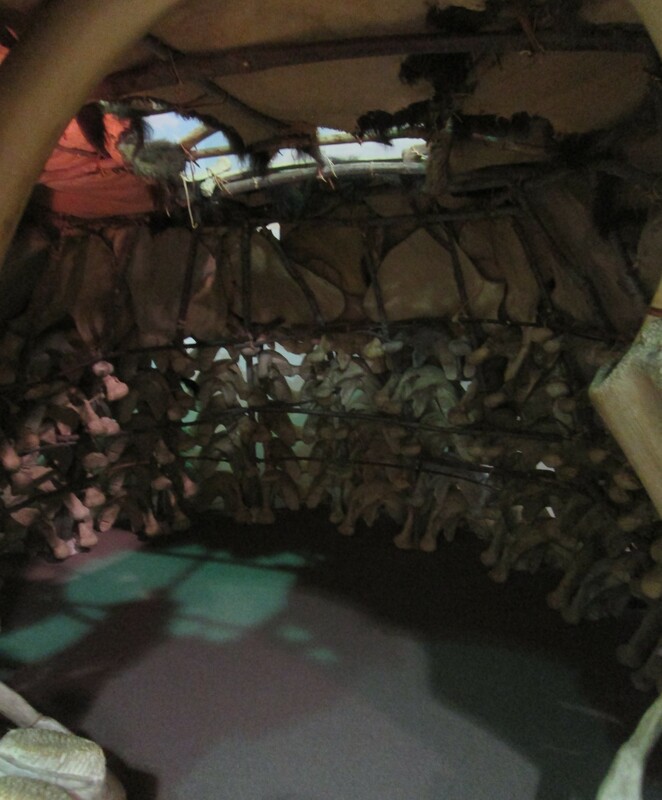 Imagine how eerie it feels to the modern person, accustomed to walls of wood or stone, to sit in the barely penetrable darkness surrounded by hundreds of bones of long-dead creatures, the sounds from outside the hut muffled by the skins covering the enclosure. 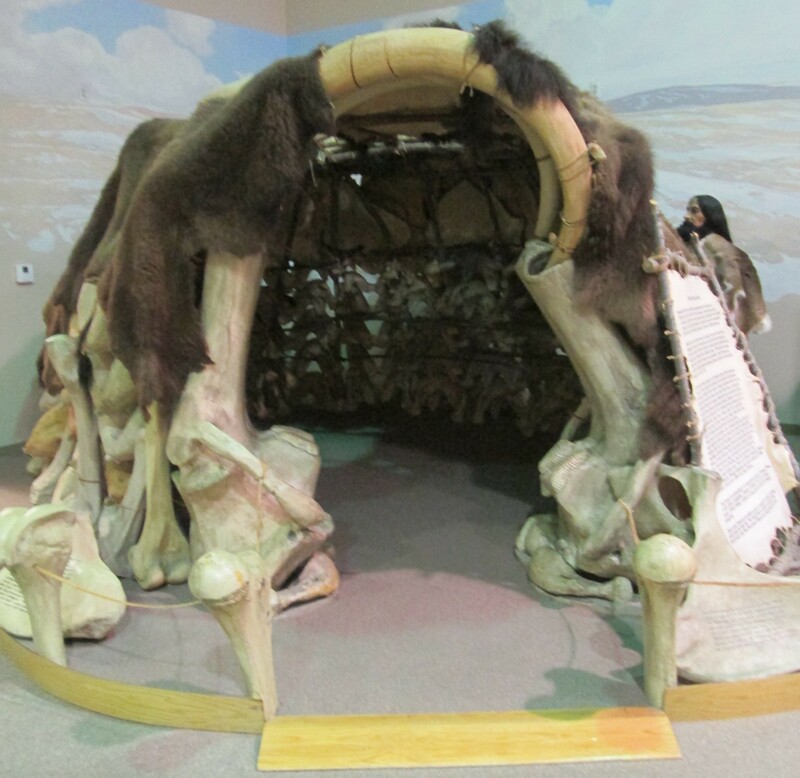 To the ancients who lived in such places, one must have been continually reminded of what a gift the mammoth was to the humans who hunted it, of how tremendously its death could improve the lives of those who sought it. But one can imagine, too, how too much dependence on a single species could ultimately lead to the failure of a culture or a people. Many animal species have been hunted to their ultimate demise; however, probably countless more have become extinct indirectly, owing to loss of habitat, to man’s “conquest” of the environment. And it is not the only so-called lesser animals that are vulnerable to losing their livelihood in this manner. The Plains Indians provide a classic example of a similar disaster befalling humans. For ultimately it was not the war against the Indians that defeated the Indians; it was the vanishing of the buffalo, the reduction of their range, the wholesale slaughter of herds for their furs. Without the buffalo, the people of the Plains had no means of making a living on the land for which they fought. In his lack of regard for animal, man once again destroyed man. 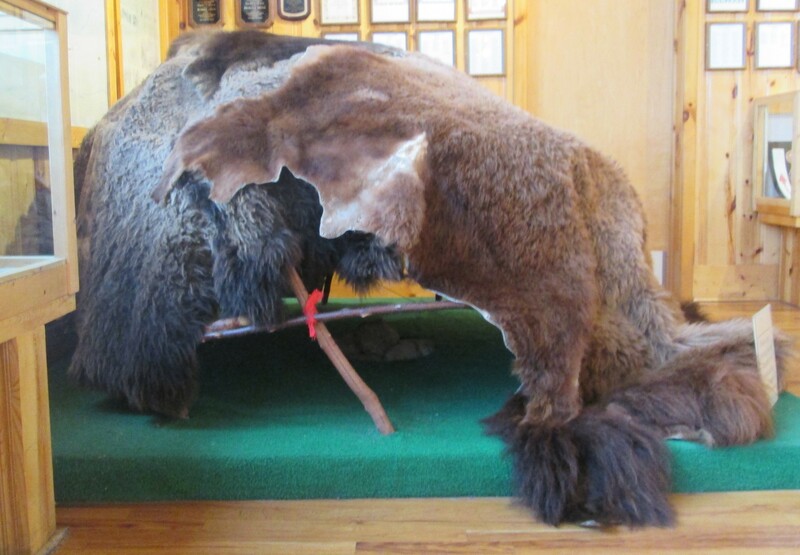 There was a final exhibit at the Mammoth Site concerning recent newsworthy finds, particularly in Russia, of carcasses of mammoths found frozen and nearly intact, so well-preserved by the frost, in fact, that the meat was still good. This represents a fascinating development in the study of archaeology, for it is my prediction that as global warming continues and previously glacialized areas are exposed, we will discover more and more bodies of Ice Age creatures that have been cryogenically preserved down through the ages. Indeed, areas like Russia, much of which is, and historically has been, wilderness, are likely rife with such remnants long ago buried in snow and in ice. There have been no visitors to disturb them, no people to poach the tusks, no dogs to drag away the bones. But in spite of the immeasurable boon to science, I fear it will be but a small comfort, as the ice around the earth melts away, if we uncover the remains of long-lost creatures that flourished during the last Ice Age and are able to study them. For much as we may admire the creatures who came before, their bones and flesh can only serve as a grim reminder of the extremes of which our planet is capable, and of what can happen to species that are ill-prepared to adapt to drastic shifts in the weather. This entry was posted in Travel and tagged archaeology, books, giant short-faced bear, global warming, Ice Age, landscapes, mammoth bone houses, Mammoth Site, mammoths, memoir, Plains Indians, reading, road, road trip, roadtrip, South Dakota, The Long Road Home, travel, United States of America (Country) on September 14, 2014 by lorilschafer. … because they tend to wander off to find food on their own. This furry fella doesn’t seem at all perturbed by the large crowd gathered around watching him stroll up the middle of the roadway in search of lunch. Nice side view of the bison as it turns back towards the cameraperson (me!) to continue chomping on the grass by the side of the road. If you would like to see more videos from my cross-country travels, please check out my new YouTube channel: https://www.youtube.com/channel/UCb5RugrJMSHh6_4hkgHmkMA. This entry was posted in Travel and tagged bison, books, landscapes, memoir, reading, road, road trip, roadtrip, The Long Road Home, travel, United States of America (Country), Wyoming, Yellowstone National Park on September 8, 2014 by lorilschafer.